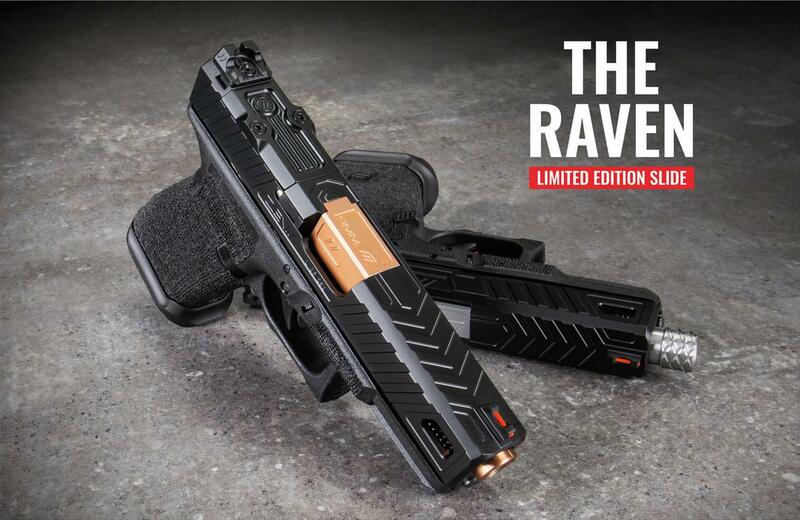 ZEV’S LATEST LIMITED EDITION SLIDE, THE RAVEN. A TOTAL OF 500 PRODUCED (250 GEN 3 & 250 GEN 4). GLOCK 19 ONLY. COATED WITH BLACK DIAMOND-LIKE CARBON (DLC). AVAILABLE NOW, FOR A LIMITED TIME, THEN NEVERMORE. THIS ONE-OF-A KIND SLIDE FEATURES DISTINCT CHEVRON STYLED TOP SERRATIONS THAT CONTINUE DOWN THE SIDES FOR AN IMPROVED GRIP SURFACE. FRONT SIDE BARREL WINDOWS REDUCE WEIGHT AND FINISH OUT THE CLASSIC LINES OF THIS UNIQUE SLIDE. OUR STAINLESS STEEL SLIDES ARE DESIGNED TO IMPROVE ACCURACY AND PERFORMANCE. WE MANUFACTURE OUR SLIDES IN OUR STATE-OF-THE-ART MANUFACTURING FACILITY. THEY ARE MACHINED FROM A SINGLE BILLET OF 17-4 STAINLESS STEEL TO TIGHTER TOLERANCES THAN FACTORY SLIDES FOR INCREASED CONSISTENCY IN BARREL LOCKUP WHICH IMPROVES ACCURACY. 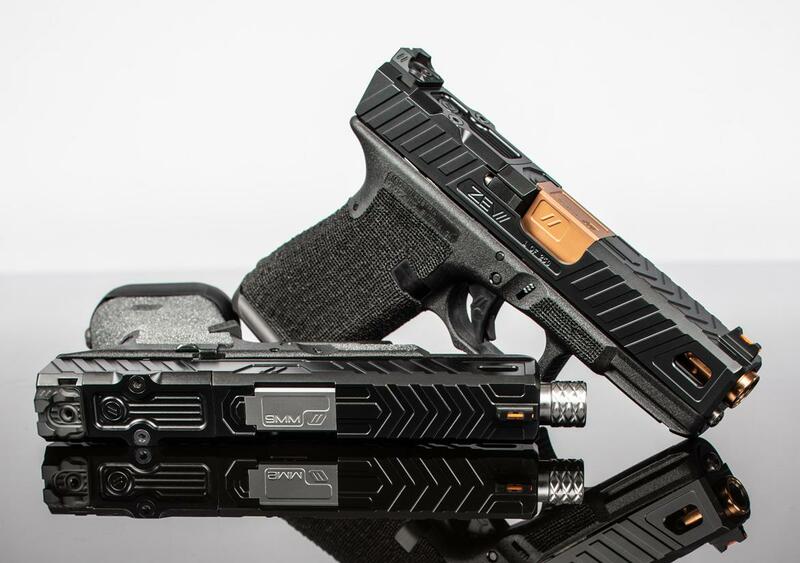 ZEV SLIDES WEIGH LESS THAN FACTORY SLIDES, THEREFORE REDUCE RECIPROCATING WEIGHT, WHICH REDUCES FATIGUE AND ALLOWS FOR FASTER SHOT FOLLOW-UP PLACEMENT. ALL ZEV SLIDES HAVE OUR PATENTED OPTIC CUT WHICH FEATURES POSTS ALLOWING FOR MORE THREAD AREA KEEPING YOUR OPTIC SECURELY MOUNTED TO YOUR SLIDE.